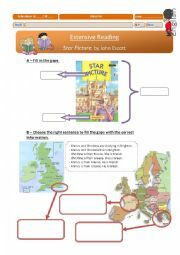 This is a mini-test I usually do at the end of a class to help assess students. It´s great to keep them studying and gives them the chance to improve their marks more often. 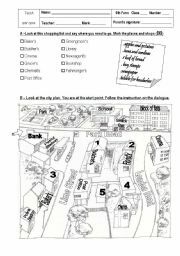 You have here test A and B - slight changes to avoid cheating :) Hope it´s useful. 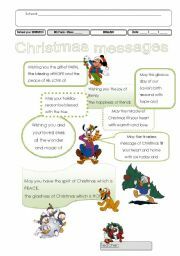 Short paragraphs describing Christmas and some of its traditions. Good for introducing the theme to a class. 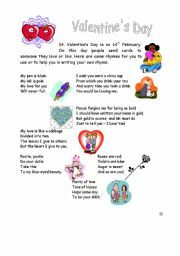 Small poems for students to use in their on Valentine cards. 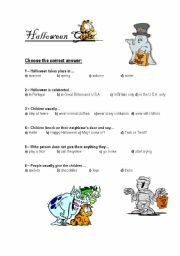 This is an easy quiz about Halloween traditions. Hope your students enjoy it... mine did! A certificate to give to students that take part in the Halloween activities outside the classroom. Each A4 shhet makes 2 A5 Certificates. If you print them in orange paper it gets even better. 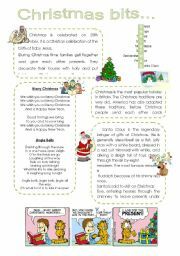 This is a handout for the Christmas project. My pupils are making their own Christmas cards and these messages are only examples to help them write their own. Hope it´s useful. Merry Christmas everyone!!! question-tags with the verb TO BE. 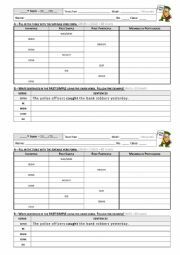 Simple filling exercises and one in writing in English (from Portuguese into English) - teachers may change the last exercise with simple translation in their students´ mother language. 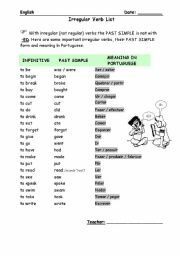 Small list in the past simple and translation in Portuguese. Good for level 2.